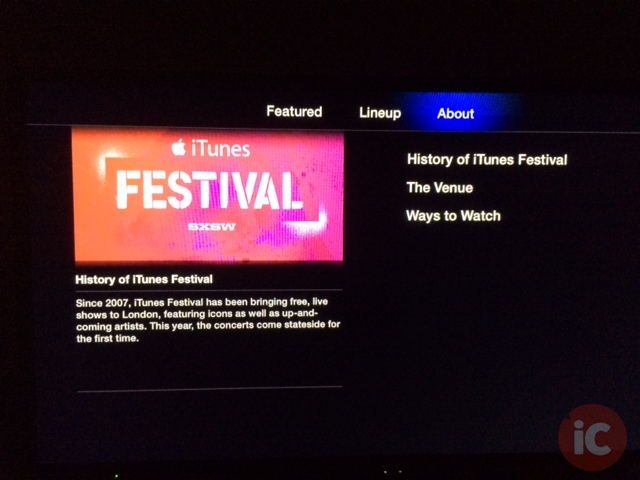 Apple has released an update for its iTunes Festival channel on Apple TV, which is available to Canadian users, in preparation for this week’s event as South by Southwest (SXSW) 2014. The update allows users to live stream the concerts as well as view the week’s lineup and artist information. 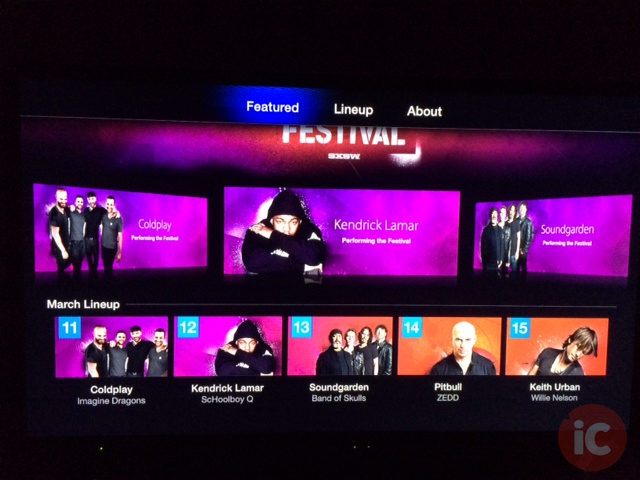 The main page of the channel shows artists who will be performing at the festival, including Coldplay, Kendrick Lamar, Sound Garden, Pitbull, and Keith Urban. 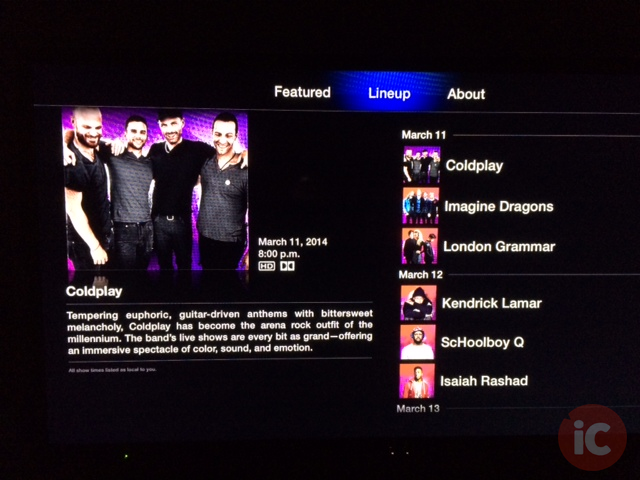 In addition to artist details, the channel also provides full details on opening acts. On the page containing artist details, Apple has included direct iTunes links to the their albums. Earlier this week, Apple released an update to the iTunes Festival iOS app which brings a refreshed design and details about featured artists and the concert’s lineup, similar to the Apple TV channel. 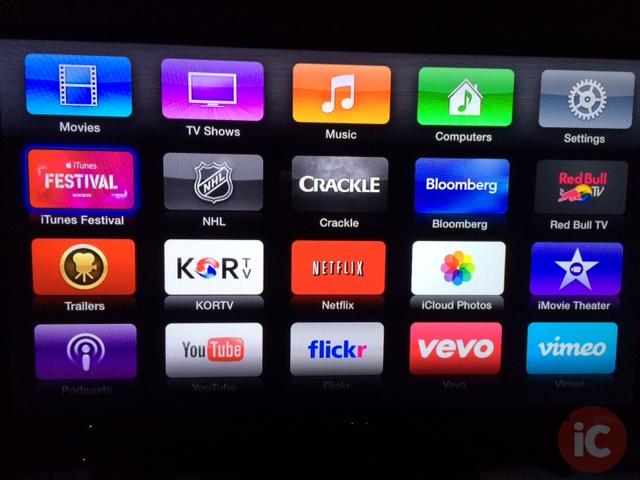 Last month, Apple announced that it would bring its iTunes Festival to the U.S. for the first time. 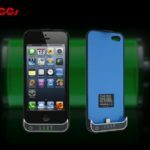 The event will take place at ACL Live at the Moody Theater, home of Austin City Limits, between March 11 and 15 and can be live streamed from your iPhone, iPad, iPod Touch, Mac, or PC, and on the Apple TV in HD.